Yesterday, Google unveiled a new Explore area for the Google+ Android app, which lists a number of major categories at the top of the What’s Hot stream. The update seemed pretty negligible, but now it’s rolling out on the Web too with far more pronounced implications for content discovery. 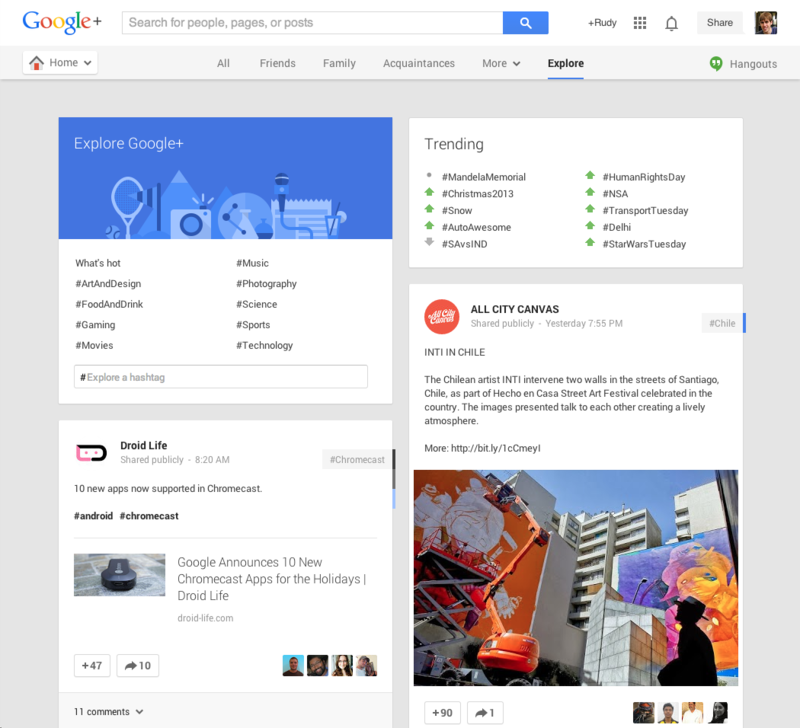 Starting in the US, Google+ users will begin seeing a new Explore tab at the top of the page, next to the More drop-down overflow menu. A card at the top lists major topics as straightforward hashtags, such as #Music, #Science and #Photography. These hashtags existed before on Google+ – you just needed to search for them – but this latest move elevates them to a recognized and hopefully more popular status. In addition, each of these topics will contain sub-categories for deeper content exploration, such as #HolidayBaking underneath the main category #FoodandDrink. Trending hashtags are still listed on the right-hand side, as they were in the What’s Hot stream, and Farrell said there would also be a simple way to follow users and communities from within the stream. We’re betting that it’ll be similar to the suggested cards already prevalent in What’s Hot. 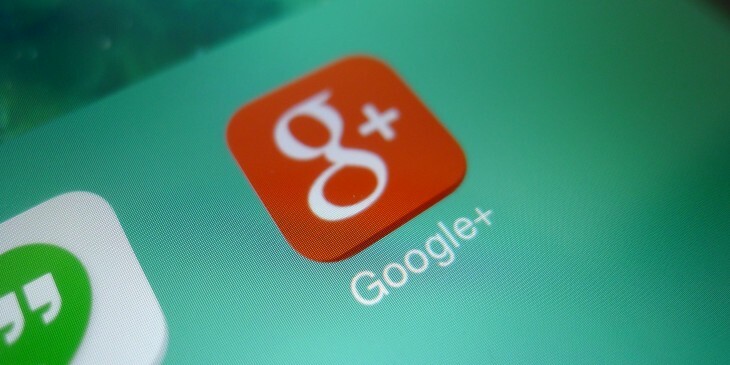 The change is subtle, but it puts a renewed emphasis on content discovery within Google+. The platform, just like Twitter, hosts a diverse range of content, but it’s often tricky to know what’s out there. If the author isn’t already listed in one of your circles, or you haven’t submitted a relevant search query on a whim, the chances are you’ll never stumble across their posts. What’s Hot was an admirable attempt at highlighting popular content, but in the navigation menu it’s always been tucked away, out of sight. Bringing the new Explore tab (ironically, this is what Google used to call the What’s Hot stream) to the top of the page, where it’s always visible, should increase user engagement and as a result, improve the experience and general usefulness of Google+.